Our linux reseller hosting are designed for professional and small size hosting companies that maintain their clients websites for long term. TechPlus linux reseller hosting are great way for you to earn money online or even establish your own hosting company. With our all linux reseller web hosting plans; we offer user-friendly control panel ''cpanel/whm''. You can easily manage your clients data, billing information and everything you require. Control panel cpanel/whm is used world wide with linux reseller hosting servers so its easy to use for all. All websites on CentOS server are managed through apache. We provide linux reseller web hosting to all major europe cities clients including germany, france, italy, netherlands, switzerland, greece, spain, norway, sweden, austria, czech republic, belgium, portugal, scotland, ireland, croatia, denmark, turkey etc. We always make sure to use most recent softwares to provide the best service. cPanel/WHM comes with linux reseller web hosting to manage website activities like managing email accounts, creating or removing databases, installing 1-click apps. 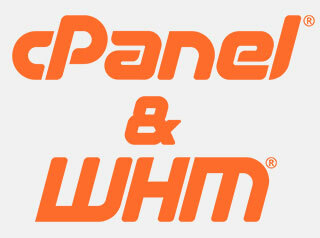 We provide cPanel/WHM exclusively free to our europe clients. cPanel/WHM is used worldwide for website solutions and provides everything a web professional requires to set up a website quickly and securely. Its an easy-to-navigate control panel, server level automation, supportability tools, and complete protection with our server-to-site security core.